Is 2015 the year of unnecessary milk innovations? 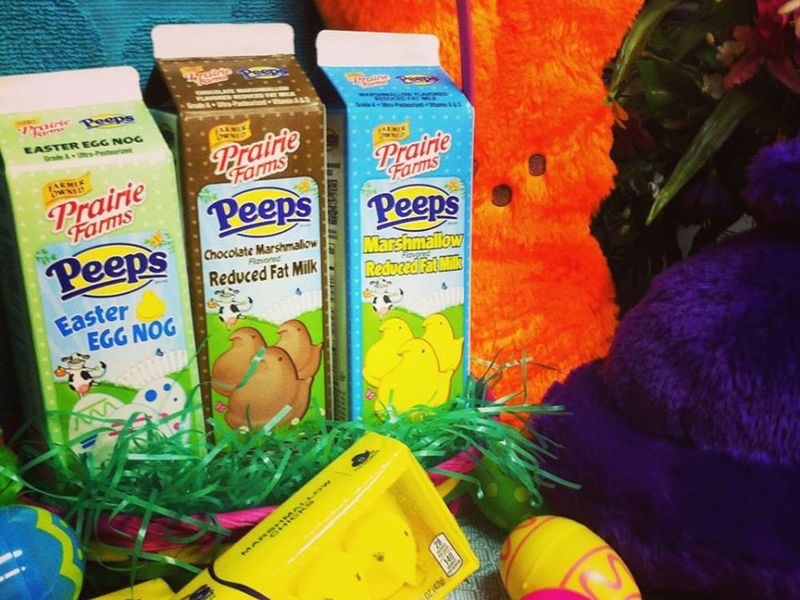 First Coca-Cola launched its weird new "super milk" Fairlife, and now, Prairie Farms is introducing a limited-edition line of Peeps-flavored milk. According to a press release, the milk — which sounds more like drinkable sugar and less like a nutritious source of calcium — comes in three flavors: Marshmallow Milk, Chocolate Marshmallow Milk, and Easter Egg Nog. (That's right, someone just brought a Christmastime beverage into the spring season.) The release adds that "creating a line of flavors that joins the two strong brands was an obvious choice." Yes, marshmallow candy milk is obviously what the world was missing. Peeps milk — which has 37 grams of sugar per serving — hits grocery stores across the Midwest this week. Brace.